The controversy over charedim not serving in the IDF has always been quietly brewing in Israel, but right now it is more heated than ever. Non-charedim do not see why an entire community should be exempt from the difficult burden that is placed upon everyone else. Charedim, behind the bluster of ridiculous claims about Torah being destroyed (as if there is no Torah learning without 18-21 year old charedim! ), understandably fear their way of life being seriously changed. Any form of compromise appears impossible; it's just going to be a battle. The Netziv operates from a value system that is as charedi as you can get. In She'er Yisrael 11, he states that Torah is the main weapon of the Jewish people in defending itself against its enemies. He simultaneously notes that those who support Torah study have a share in such defense. And in Haamek Davar to Bereishis 49:14, he notes that the tribe of Yissacher were not suited to war, and studied Torah instead - until David HaMelech forcibly drafted them! Apparently, then, under certain circumstances, even those learning Torah and defending the Jewish People in that way are nevertheless supposed to be drafter for actual combat. However, what is even more interesting is Netziv's description (in Haamek Davar to Bereishis 49:15) of what happens in other circumstances, when those learning Torah are not drafted. He states that they pay higher monetary taxes to support the military! And he states that they are to be available for whatever purposes the nation requires (i.e. some sort of national service). Furthermore, in Haamek Davar to Devarim 33:18 he notes that they must actually accompany the soldiers to study Torah and pray at the front line (presumably either because the protective force of Torah is geographically concentrated, or in order to boost the morale of the soldiers). Yeah higher taxes from all that money they'll be making sitting in kollel. > But why not, if it is proposed by the Netziv as being The Torah Way? He could say it. We can't! All this hysteria is over nothing. The latest news is that the universal draft will start in 5 years. But in 5 years there will have been another general election (if not 2) and odds are the Chareidi parties will once again be in the coalition while Yesh Atid will have joined Shinui in the dustbin of history. And what do you think the Chareidi parties will demand for participating in the government? But he read newspapers on shabbos, so I guess he wasn't that frum/charedi. Also, possible: He is sensitive to that, yet he believes it is surpassed by the value of Torah learning, to which the author of this post is (appallingly?) insensitive. I can tell you from experience that IDF soldiers just *love* having their morale boosted by the presence of Haredim who don't expect to share in guard duty or work. I think one reason such a sensible compromise would not likely be accepted by Charedim is that the Netziv is not a strong enough source. While he may be the "the father of the yeshivah world," it seems that the Charedi community only values the opinions of the Charedi "gedolim" living today. While they purport to believe in the "descent of the generations" as we move further from Har Sinai (which would mean, theoretically, that the Netziv would be a stronger source than today's Charedi gedolim), in reality they only believe this when an opinion from an earlier generation comports with a contemporary Charedi gadol. And, on these points, contemporary Charedi gedolim do not align with the Netziv. Specifically, contemporary Charedi gedolim both loathe non-Charedi Israeli society and, at all costs, do not want to alter (even temporarily) any component of their community’s insular lifestyle. They are therefore unlikely to accept national service as an alternative. As for paying higher taxes, since they view the taxes they pay now as an unfortunate burden that transfers sparse community resources to a wicked society not their own (but from whom they’re happy to take), it’s highly unlikely they’ll agree to pay more. Put simply, their “taiva” to live their lifestyle their way creates a “gaiva” (they are the only true, pure Torah community and must never cease "learning;" their leaders are infallible, etc.) that blinds them to Israel’s needs and G-d’s will. I'll spell it out. Charedim are selfish. They have focused so much on "Torah" (I'm pretty sure it's not Toras Moshe) that they have completely evicted Derech Eretz. To borrow from the Midrash on the stork, they appear kind (Chasidah), but they only care for their own. And, just as the Chasidah is a bird, but doesn't care for other birds, Charedim don't view other Jews as their own. I have an interesting angle to add. 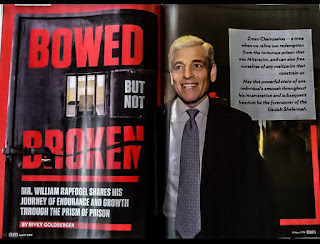 Yair Lapid said that he wants Charedim to learn to read and write English, and every student in the secular school system to learn a daf Gemara. How about a trade off? Have the kollel guys teach gemara in the schools as sherut leumi. First of all you don't address the fact that the context there is most probably a "Milhemet Mitzva" as opposed to joining an army and government that doesn't even believe in Torah and doesn't issue military orders in accordance with it either. Secondly, I looked some of this stuff up and you conveniently skipped the part that says that David Hameleh drafted only 200 of the special ones (יודעי בינה) to join their brothers with their Torah, not the whole tribe! The part about paying extra tax is correct, but otherwise it doesn't say exactly what is the extra stuff that they did for the state. These inaccuracies aside, you make a good point if you would focus only on the idea that Torah learning is not enough as proven by these statements. I agree with you there. But to take this and apply it to the IDF as if it were identical to King David's army is out of line. It's not like the IDF is going to use these charedim for their בינה. The Netziv is good for a dvar torah, not for Psak. I don't think we have to search far and wide for a reason why Torah learning isn't enough. There's the well known dictum of השתדלות, the fact that you can't just sit at home and hope God gives you what you need - you have to do your part. Thus, regarding the duality of the Netziv's viewpoints on fighting war, the view is probably that without Torah, there is no real defence. Therefore it is the primary protection. But you still have to go out there and fight the fight and do what you can, each according to his capabilities, as long as one has one's priorities straight. Therefore there is no contradiction. There's the story about the anti-semitic play that made fun of Jews by portraying their process of picking soldiers. One by one each Jew is allowed to go home for different reasons (he just got married, got a new house, etc), until only one old man is left to fight the battle. I don't remember which rabbi said this, but his reaction was something like: "They forgot one important detail in the play - the fact that the battle was won." In my opinion the IDF should create a special branch only for charedim which will allow them to mix Torah and military according to their standards. And then draft them. But as long as the military has the silly attitude that charedim aren't even allowed to wear earplugs when a woman is singing during a military ceremony, then obviously there will be endless problems. There are several problems with the charedim's current behaviour and viewpoints, but the other side isn't making it any easier, and the non-charedi world is filled with unreasonable contempt and disrespect. So this one-sided criticism is ...well...one-sided. The IDF has already created a special branch for charedim called Nachal Charedi! Nachal Charedi exists in complete isolation from other IDF units with their own male-only bases, extended prayer times, and Beda"tz mehadrin food. Nachal Charedi is never subject to women singing (or participation in ANYTHING involving women), and while Nachal Charedi doesn't combine military service with Torah study (since the charedim that end up there are usually yeshiva dropouts), there's a program for that too, called Hesder! “Hesder” which means “arrangement”, requires participants to commit to 3 years and 8 months (at least) in yeshiva and 16 months of army. Participating yeshivas (known as Hesder yeshivas) typically require students to spend the first year and a half to 2 years of the 5 year program in yeshiva prior to enlisting in the armed service portion. The yeshivas use that time to prepare their students spiritually for their upcoming military experience and use the time following the military portion to ease them back into full-time Torah study. Furthermore, each yeshiva sends its students as a group to a homogenous Hesder unit. Such units are not subject to anything which would compromise their religious values. In fact, when I served in a Hesder unit, an American donor sponsored a retreat at a water park for our entire company (which included 2 non-Hesder platoons) for which the army provided an alternate retreat for all interested soldiers (not just from our Hesder platoon) which involved lectures given by prominent rabbis. The same thing happened again later in my service when an Eilat retreat was planned (that time the army set us up in a Jerusalem yeshiva and arranged a 3-day schedule of Torah study for us). Any yeshiva, charedi or not, has the ability to become a Hesder yeshiva. The charedi yeshivas simply choose not to. Furthermore, the charedi world has relegated Nachal Charedi for dropouts and troublemakers, and those who join the army (including those who attend Hesder yeshivas) are viewed in disdain. Charedim want to have nothing to do with the army because serving in the army is simply un-charedi! Charedi, by definition, is anti-Zionist. Serving the State of Israel through military (or even national) service is simply too Zionistic. The issue is not one of halacha (Jewish law) either. Many rabbis (in the religious Zionist sector) point out that serving in the army is, not only a biblical commandment, but a full-fledged chiuv (obligation) given the consistent existential threat to the State by its enemies according to the Rambam’s definition of a milchemet mitzvah (obligatory war) as saving Israel (i.e. the Jewish people) from harm’s way (see Mishneh Torah, Hilchos Malachim 5:A), to which ALL must serve, even “the groom from his room and the bride from under her wedding canopy” (sorry no exceptions for yeshiva students). Apparently, for the charedim, however, their selfish political/social agenda is much more important than a biblical precept. wasn't that book you pictured recalled? what is the punishment for having a copy? What about the famous story about the Chofetz Chaim (iirc) his talmidim came to him complaining about a play put on by the maskilim that the Jews went to war. Then they announced that new chasanim could leave, etc. and after all of the announcements there was left on stage only 2 old men with long beards, The Brisker Rov and the Shaggas Aryeh. The curtain went down to big applause. The Chofetz Chaim heard - and smiled. He said - the play is accurate. They just forgot the end of the story. These 2 Tzadikim and Talmidei Chachomim ... won the war. Thank you for your service, and for your contribution to the discussion. Sh'koach.
" In She'er Yisrael 11, he states that Torah is the main weapon of the Jewish people in defending itself against its enemies." Wouldn't the logical reading of this source (I haven't seen it, only going by your own summation here) be that he means following the Torah (as opposed to sitting in a room arguing out a Talmudic machlokes) as our main weapon against our enemies? The fact that you assume him to mean "kollel-learning of Torah" when he mentions the word Torah seems to be a result of 20th/21st century sociological conditioning by haredim about their supposed "lifestyle" and its supposed ancient history in Jewish life. Like the kind of hagiography we would see in one of those officially sanctioned "biographies." "This raises a fascinating question. Since the Netziv believed that learning Torah provides the primary protection, why did he say that Yissacher has to pay extra military taxes and perform national service? I don't know the answer. " It's probably not a valid question because he never meant what modern day haredim would want him to mean (or programmed you and the rest of us to think that he meant). Also, you yourself wrote: " He simultaneously notes that those who support Torah study have a share in such defense." A share in defense, but not the PRIMARY defense. So where did you conclude it from that kollel style Torah learning is primary defense? 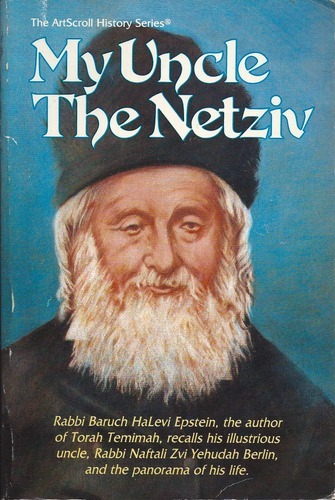 Being that Netziv was a master of the Shas, he probably sided with chazal in the Talmud where they say that the chachamim and the soldiers fighting go hand in hand to protect the Jewish people. They do not stress that one is greater than the other. It's a team effort. The Netziv is good for a dvar torah, not for Psak." Canned lines like this - particularly the wording used here and the person it is used against - are insulting and a denigration of Torah. Do you know how many people sent shailot to the Netziv which he sat answering every day, writing letters in response? If only we had someone like him today. What gall you have. This is exactly like the example I gave about soldiers not even being allowed to wear earplugs while a woman is singing during a ceremony. The military attitude towards charedim even inside Nahal Charedi leaves much to be desired. That said, I agree that charedim are stuck in their ways and have problematic viewpoints. But given the military attitude towards charedim, I would evade enlistment as well if I were them. I also saw a site on the internet criticizing Nahal Charedi for discriminating against women! Seriously? Someone seems to be missing the point... So now the charedim are being criticized even when they join the army. I think it's time for the angry public to ask themselves whether they aren't just general charedi and rabbi haters and whether this army issue isn't just another excuse. Have you ever heard of Shu"t Meshiv Davar? So some guy's kid had a bad experience. So what? How is that indicative of any sort of negative "military attitude towards charedim"? I have plenty of friends who served in Nachal Charedi (including one of my current neighbors) and they all had a very positive experience there. The article was also full of inaccuracies, many of which are pointed out in the comments (see Dovid Landesman's comments in particular). Now, I can't explain exactly what happened with that kid, but his case was certainly an exception rather than the rule (and may have been the result of his father's finagling his son's way into the unit through a connection to a guy he hitched a ride with). In any event, it would be wrong to denounce Nachal Charedi (or, in your case, the entire military) for this unusual (and unfortunate) mishap. As far as the website you saw criticizing Nachal Charedi for discriminating against women -- once again, so what? If I recall correctly, in the wake of 2 consecutive episodes that saw a charedi man spit on an 8 year old girl in Ramat Bet Shemesh and a verbal assault on female soldier by a charedi man on a public Jerusalem bus, many on the left (and even center) of Israeli society called for end to charedi discrimination against women. As part of the backlash, some instigator thought that she could stoke the coals some more by pointing out that Nachal Charedi excludes women from its ranks. But who cares? It's a free country and everyone is entitled to express their opinion. It's not like the IDF changed its policy of barring women from Nachal Charedi as a result. So what's the problem? Nachal Charedi remains a very viable option for the charedi community but they shun it out of a stubborn conviction to their social/cultural (not halachic!) norms. Don't blame the IDF for the charedim's problem. On the one hand, you and some of the commenters on that post are most probably right that not everyone's experience in Nachal Charedi will be bad. You may even be right about it being an exception, but I'm not so sure. The reason for my doubt is because I've personally seen the incredible amount of unreasonable hatred and disrespect out there amongst the Israeli public for charedim. And the military is made up of this public, including some commanders. Like the post update says - I am sure not all experiences will be bad, but it basically means that you are dependent on luck that your commanders won't be one of the haters. It's obvious from these stories that there are at least some hateful commanders in the military. The nit-picking comments and corrections did practically nothing to correct this fact and other comments agreed with the bad experience assessment and added their own bad experiences. So now the question is, how many bad commanders does it take to define it as a 'military attitude towards charedim'? And how many charedim will be willing to take the gamble? P.S. My apologies for taking this post slightly off topic. The primary point should be that Torah learning isn't enough for a defense. But I was disturbed by all the hate from the other side as well and still think it needs to be countered. I think this whole post is a straw man. The Netziv was talking about a real milchemes mitzvah with an ongoing national war effort which required as many deployed troops as possible. And still Shevet Levi was spared from the draft! When push ever comes to shove and chas ve'shalom there will be an outbreak of a long, drawn-out ground war, the situation will be much more comparable to the Netziv's plan. Where the Israeli infantry is being seriously depleted by ground battle losses c"v, and all the reservists have already been called up, and we are badly in need of new recruits, I honestly don't think there will be any chareidi resistance to drafting Yeshivah students at that point. Until that actually happens, the army draft issue is mostly about "fairness" and mainstreaming Chareidim into non-Chareidi society. Don't bury your head in the sand. The simple definition of what you are suggesting is this: other people's sons (including my own, who, by the way, is a fine yeshiva bachur in a Hesder yeshiva) should die in war first, and if enough of them have died ("seriously depleted by ground battle losses"!) then it might be agreeable for Chareidi yeshiva boys to be drafted. And Chareidim accuse OTHERS of hating THEM? Can you recognize the disdain conveyed by this comment? Clearly you expect all other Jewish boys to be killed in battle before your Jewish boys be considered for putting their lives at risk. Can you see how deeply offensive it is to suggest that other's sons are worth less and are more expendable than your own? I sorely hope that you simply didn't think before you wrote this, and that now that you have reread it, not only regret what you have said, but will do some serious soul searching. Maybe there's a reason that the attitudes towards Chareidim have gotten to this point. Every boy learning might have once been necessary for the preservation of our people after WWII. But it has taken on a life of its own and has created a culture of Jews that feel superior to other Jews to the point where they have no shame in expecting others to serve them and serve for them. I think you are looking for hatred where none exists. The poster you are arguing with is not making a statement on whose blood is bluer. He is just explaining that someone who sits and learns all day is more important to the nation then someone who doesn't. Your commented that your son has the capacity to sit and learn. Had he chosen to invest his entire day in that capability he would also be among those that are most important to the nation. Just as a chareidi who doesn't sit and learn all day wouldn't fall into that category. Stop spreading the fire of hatred.